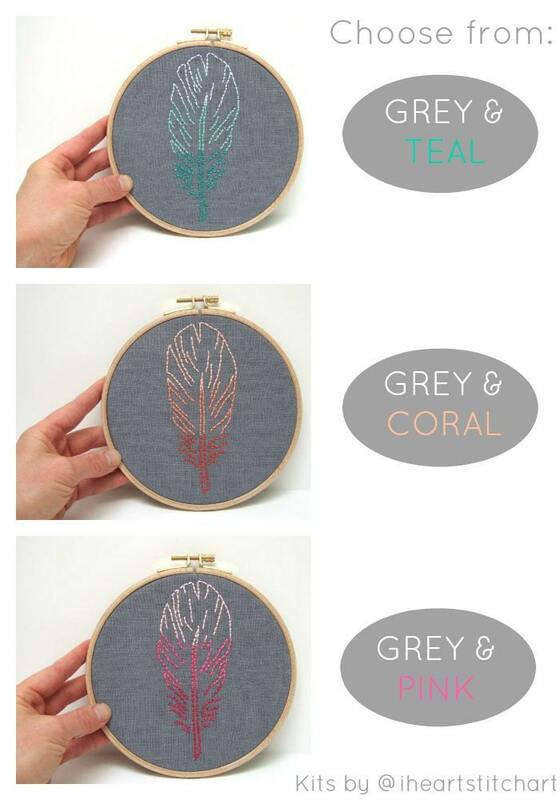 This embroidery kit features a beautiful feather design to stitch in ombré shading of coral, teal, or pink thread on lovely grey linen! 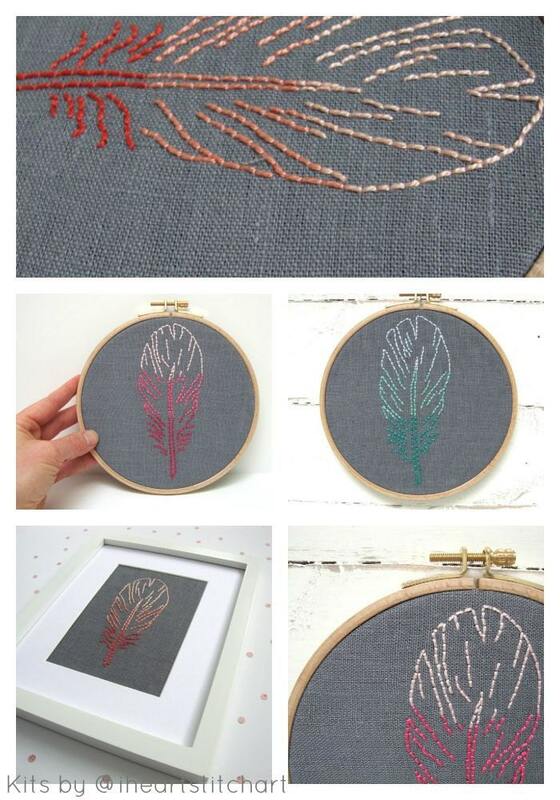 This design is perfect for a beginner learning to embroider. 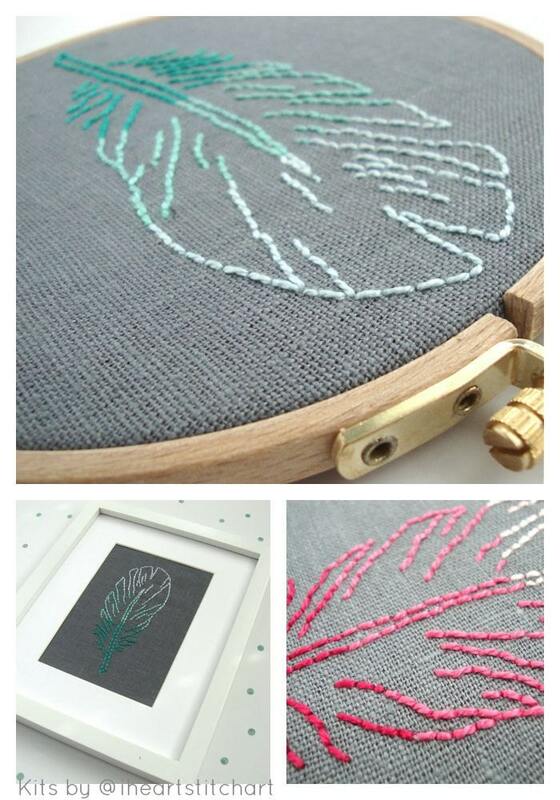 Note: This listing is for ONE embroidery kit. 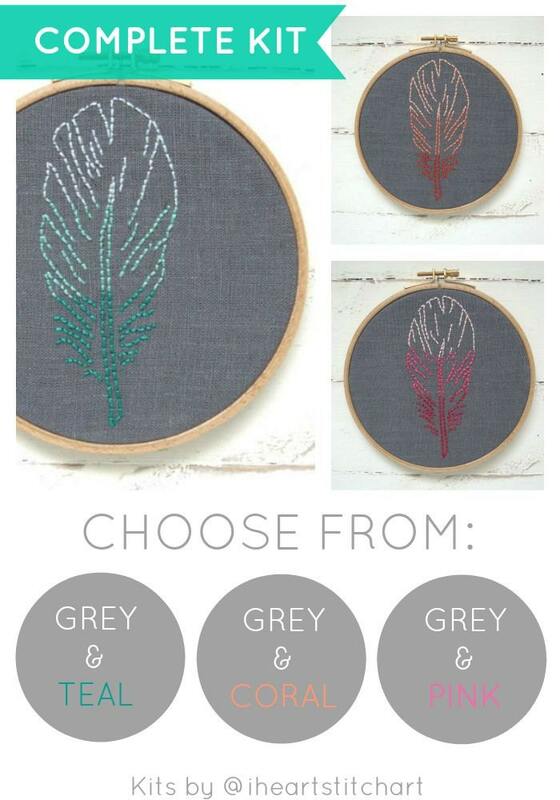 Please select your preferred colour from the drop-down menu! Fabric measures approximately 10.5" x 9"; feather measures 2.25" x 5.5". Beautiful! Thank you sooo much! Great kit. Great customer service. 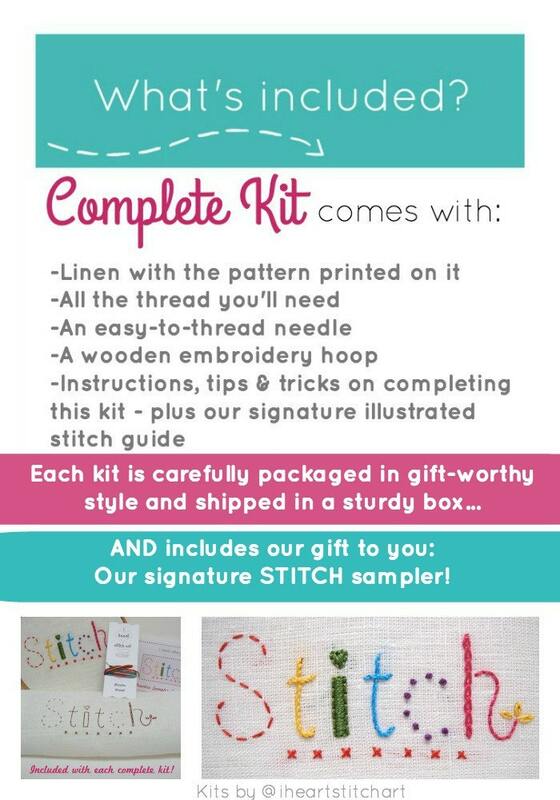 Great kit for a beginner. I loved it so much, I ordered two more for my daughters.